Senie is a town in eastern Stonefalls, south of Davon's Watch. 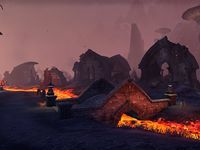 It was recently destroyed by the eruption of Ash Mountain, but distrust between its Dunmer and Argonian residents has impeded relief efforts. 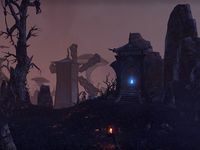 Senie Objective: Restore trust between Argonians and Dunmer in Senie. Senie Wayshrine is located east of the town. This page was last modified on 13 April 2019, at 14:01.